Animal-themed accents such as throw pillows provide a great way to bring a living room or bedroom to life. But how to use them without turning a room into a tacky jungle? 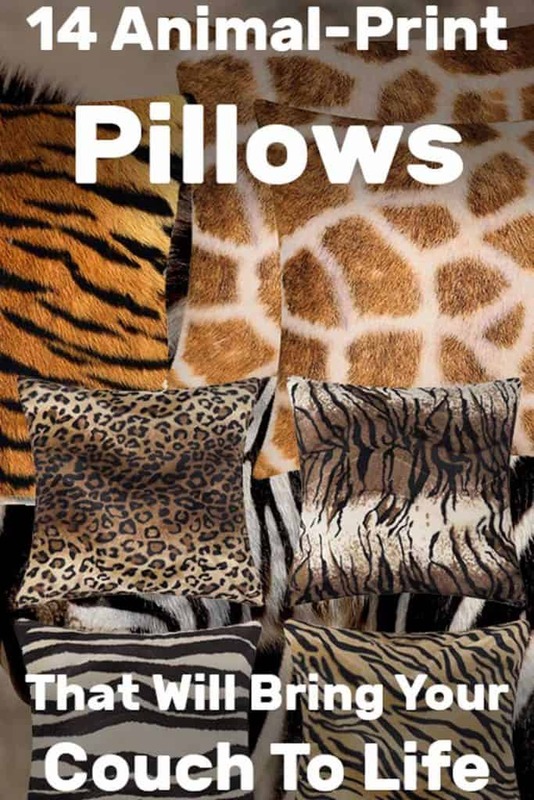 We have you covered with tips for using animal-print pillows, as well as 14 fabulous examples that you can order today. We’ve put together a list of quick tips that will help you decorate a living room or bedroom with these wild patterns – without going overboard. The easiest – and some may say the safest – way to use animal-print throw pillows is by using them sparingly. Just a few pillows in an otherwise traditional room can really make your interior design pop out. You can absolutely go with a themed room, in which case sticking to a particular type of animal print is best. For example, a zebra-themed living room or a leopard-themed bedroom which incorporate similar (but not identical) prints in the curtains, rug or furniture, along with a couple of matching throw pillows. For a generally wild and luxurious feel, it’s perfectly legitimate to mix and match several animal prints. They may not co-exist in the same regions in real life, but there’s nothing stopping you from mixing leopards and tigers in the living room! We love animal prints so much because they’re classic patterns. Geometric in nature but not too straight and strict. They lend themselves really well to mixing and matching with other types of colors and patterns. Animal prints come in a variety of colors too. The shape of the pattern is borrowed from the wild but it can be adjusted to other colors too. For example, you can find zebra or tiger stripes in colors that will match your overall color scheme. We even featured some animal-themed items in our post about hot pink throw pillows! You already know how much we love throw pillows as a way to add decorative accents to your living room or bedroom. Zebra prints are awesome. The lines are beautiful and the black and white contrast was made for interior design purposes (well, not really, but you know what we mean!). The unique blend of several different color schematics is bound to spruce up your bedroom. This plush throw pillow helps you to bring more character and a sense of vibrancy to your room. The artisan seamlessly blends the stylistic zebra print to uplift contemporary decors. This throw pillow is made of 50 percent cotton and 50 percent polyester, ensuring longevity and durability for several years after making the purchase. The polyester filling enables the throw pillow to retain its full shape and adds more strength to its structure. This guarantees comfortable and firm support to give you an ideal good night sleep. You can purchase this chic pillow by clicking here. This handsome throw pillow features an elegant color palette, characterized by generous strokes of black and white stripes. The adorable animal print will effortlessly blend into your décor space and easily become a staple in your home. This unique throw pillow offers a distinctive look to spice up your room. It embodies artistry while maintaining affordability and durability, making it ideal for your room. Both sides of this elegant pillow are printed with an authentic zebra print. Furthermore, it features a hidden zipper to ensure consistency in design. This throw pillow cover makes for an ideal gift in birthdays, weddings, and anniversaries. Click here to buy this pillow. Bring more vibrancy into your room with this zebra throw pillow. Animal printed throw pillows are trending as a popular modern bedding accessory. The artisan created a stunning design with their artwork, making it a fantastic addition to any home décor scheme. This chic pillow is made from durable, soft Simplex, guaranteeing longevity and durability. The pillow cover is wrinkle free and soft. It is definitely going to enliven your space by perfectly complementing both beds and couches alike. Click here to purchase this zebra throw pillow. This sensational throw pillow cover features a beautiful zebra against the backdrop of bright reds. The colors strongly contrast against each other to draw more attention towards the zebra print. The material for this magnificent throw pillow makes it a perfectly-suitable choice for use with kids. It is built for maximum comfort in mind, to ensure you and your loved ones get quality sleep. Click here to purchase this pillow. Did you know that the “building stones” of a leopard’s coat pattern are called rosettes? Well, now you know. Some rosettes are perfectly formed while others are not. It’s a gorgeous pattern either way. Leopards have an exquisite look that is unmatched elsewhere in the animal kingdom. It makes perfect sense to incorporate a color palette and pattern inspired by leopards. This throw pillow cover will allow you to become wild in your living spaces. The beautiful animal stripes are printed on both sides, which adds consistency to the design. A hidden zipper at the back ensures the pillow remains as elegant as possible without detracting from the overall design. You can purchase the set of 4 plush pillows by following this link. You can now decorate your room with this environmentally friendly pillow cover. The fabric is made with cotton and linen to strike the perfect balance between comfort and durability. Both sides of the pillow are printed generously with a unique splash of leopard patterns, which is bound to bring authenticity to your living spaces. The throw pillow is extremely versatile and can be used in a range of settings, such as the bedroom, living room and on the patio. Cleaning the throw pillow is simple and although it can be washed in a machine, we strongly recommend you to wash by hands. This will ensure the print doesn’t fade. Furthermore, the zip is perfectly hidden at the back to ensure the leopard print looks as authentic as possible. This throw pillow features a darker tone of leopard print. It is available in 18” by 18”, and has a smooth zipper that easily glides up for easy insertion of pillow inserts. 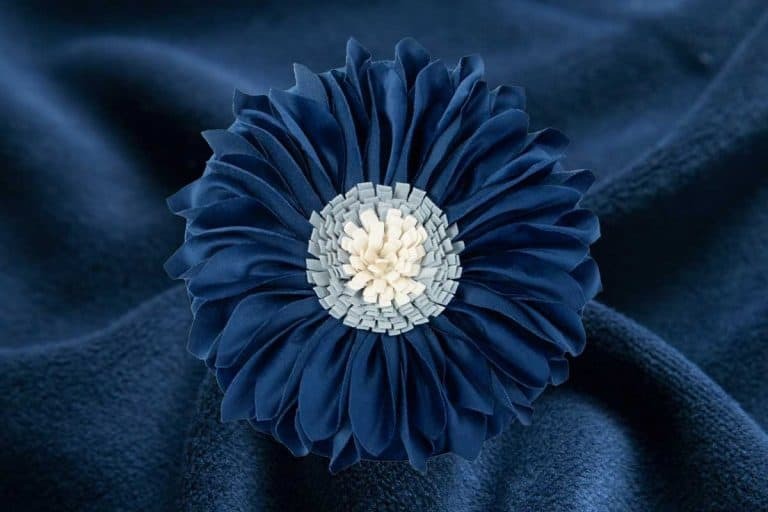 The material is composed of short pile velvet to maximize durability and longevity of the throw pillow, it is guaranteed to be more durable than cotton. The printing on both sides is highly resistant to water, which means you can wash it without worrying about the print from fading. Make sure to hand wash instead of machine washing. You can get this pillow cover here. The artisans chose to follow a unique abstract that incorporates a wide range of prints on both sides of the cover. This strange blend of different patterns uplifts the throw pillow with a retro-esque design that will appeal to fans of wildlife and vintage decors alike. The throw pillow is available in different sizes, ranging from 16 by 16, all the way up to 24 by 24. The pillow case is composed of 50 percent cotton and 50 percent linen, both of which add a strong layer of durability to the cover. In addition, there is a hidden zipper closure on one side of the pillow for easy insertion and removal of pillow inserts. More challenging that zebra, tiger and leopard patterns, the giraffe’s unique coat tends to have larger shapes which attract the eye more. If this is an issue with your overall look, look for throw pillows that have less contrast between the dark and light color of the print. Giraffes are gentle giants of the wilderness, always bringing a touch of serenity in an environment ravaged by predatory animals. And now you can decorate your living spaces with giraffe skinned throw pillow. This beautiful abstract design by the artisan features authentic zebra prints on both sides of the cover. It might just do the trick when it comes to inculcating empathy for animals in kids. Speaking of which, this throw pillow is made durable poly comfy fleece fabric, ensuring that it is highly durable and resistant to wear and tear. The throw pillow can be hand washed in water without worrying about the print fading. This giraffe print is slightly different than the last product on our list, in that, the color tones are much darker with a cartoonish texture. If you’re going for the more authentic giraffe print, then this pillow cover might not be for you. The high-quality ink, however, will just as easily transform dull rooms with vibrant shades of browns. The throw pillow cover is available in three sizes, ranging from 16 by 16 inches to 20 by 20 inches respectively. Maintenance is relatively easy, simply wash in cold water using gentle settings to ensure the fabric isn’t damaged. Brighten up your living spaces with this pillow by clicking on this link. 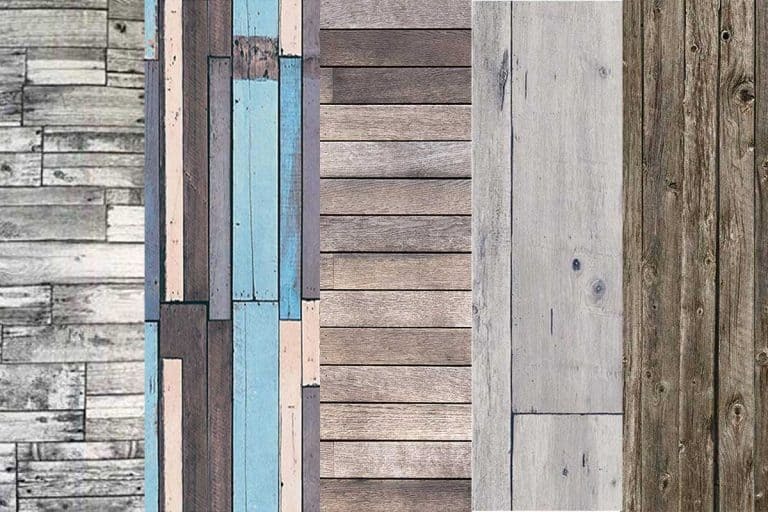 One of the wildest – and most common – patterns in interior design is the tiger stripes. Here are some examples. Tigers are the apex predators of the wild, signifying power and beauty in a deadly combo. Their striking visuals easily blend in with the environment, a feature that works surprisingly well for interior decors. The golden stripes are offset by beautiful shades of dark, providing a unique structural pattern that spices up your interior décor. There are several bells and whistles attached as an added feature to these throw pillows, the foremost of these is the fact that they are environmentally friendly and durable. You won’t have to worry about the fabric tearing apart after long-term or rough use. Consequently, this makes these throw pillows perfect for decorating your child’s room. Get this beautiful throw pillow by following this link. Tiger coats are so pretty! Their amber yellow color is complemented by with darker stripes that somehow make their appearance look unique but subtle enough to allow it to blend in with the environment in the room. Thanks to advancements in ink technology, you can bring this elegant ink into your living room for that extra wow factor. This throw pillow cover is available in two sizes, 18 by 18 inches and 20 by 20 inches. It is perfect for use with bedrooms, living rooms, and offices. Wrapping up this post, we wanted to share a few cow-print throw pillows in this list. While cows are domestic animals, their coat patterns are striking and lend themselves very well to interior decor purposes. This unique throw pillow looks like it was fetched straight out of a cow’s hide. The generous print looks incredibly natural because of the unique contrast between black and white patterns, a color combination that has a wide range of uses. Above all, the fabric is extra comfortable to ensure you’re well rested every time you lay your head on it. Their overgrown size means they’re not likely contenders for a house pet, but that doesn’t mean you can’t bring their skin inside your home. Moslion decided to bring the most authentic looking cow print onto the market. Your little ones are bound to love this small addition to your living space. In addition, this throw pillow cover has all the bells and whistles that the rest of the products on this list have, including being machine-washable, highly durable, double print, and a hidden zip for easy removal of the inserts. Click here to buy the throw pillow cover. So, which did you like best? Leave us a comment to let us know what your favorite animal-print is and how you combine animal-print throw pillows in your own home decor!